He's richer than the Queen. More famous, too. And he needs my help. I didn't know the stunningly handsome stranger at the bar was Liam Windsor, royal cousin and billionaire banker. He seduced me before I learned the truth. Now he wants me again. And again. Sleeping with clients never ends well, but how can I refuse? A blackmailer is after my fortune and threatens to destroy my life. The hacker I'd contacted to help solve my problem didn't show up to our meeting, so I lost myself in a gorgeous redhead instead. Imagine my surprise when I found out the hacker spent the night in my bed. I need to hide my intentions from the blackmailer, and I know exactly how to do it. Addison will have to pretend to be a billionaire's girlfriend. If I have my way, it won't be an act for long. 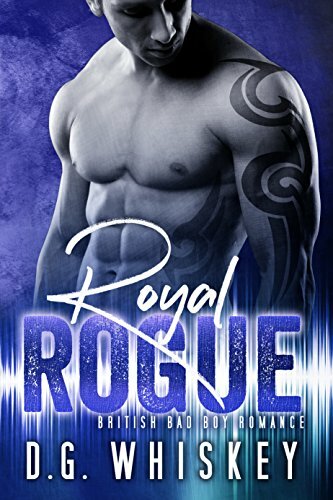 Royal Rogue is a standalone romance with no cliffhanger and a happily-ever-after ending. Addison is a minor character in the novel Steal, but you do not need to have read Steal before reading Royal Rogue.